Deciding to pursue a respiratory therapy career is a big step. Every day, people make a drastic improvement in their professional life by choosing to embark on a new career in the healthcare profession. Of course, learning how to become a respiratory therapist isn’t easy, so we put together a few of the things you’ll need to know before seeing off toward your new career path. Before we get into the nitty-gritty, ask yourself if you have the following qualities. (No worries if you don’t. You can work on that stuff later). Compassion: this quality is in high demand in the medical field. Being able to comfort and work well with patients is one of the most important personal attributes of a respiratory therapist. Good math and science skills: this will not only help you get through respiratory therapy school, but you’ll use these skills every day in your new career. Good eye for detail: being detail oriented will help you closely monitor patients and ensure they are getting the right treatments. Interpersonal and problem-solving abilities: you’ll have to work with patients, physicians and plenty of others every day. Being able to work well with people and solve problems will make you a more effective professional. If you are enrolling in respiratory therapy school straight out of high school, you probably have a pretty good foundation in terms of math and science. However, those making a career change, or anyone who’s been out of school for a while will want to brush up on those skills. It’s very possible the school you choose will have certain prerequisites that need to be completed before you can begin training. But don’t worry, the school you decide on will more than likely offer all the classes needed to make sure you are up to speed. Most respiratory therapists working today obtained either a two or four-year degree and passed state or federal level certification. Which option is better for you depends on how long you want to be in school. Those who choose a two-year degree should ensure the coursework provided is thorough and includes some training in a clinical environment. 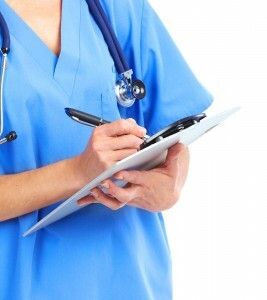 Most hospitals require that RTs pass an exam offered by the National Board for Respiratory Care. More than 40 state require such certification and you’ll want to make sure most of the students who attend your chosen school pass this exam. Once you’ve finished school, the next step in learning how to become a respiratory therapist is gaining work experience. As a respiratory therapist, you’ll regularly perform the following tasks. Diagnose breathing disorders and issues with the lungs. Recommend treatments and treatment methods. Consult with physicians to discuss changes in therapy and other issues. Manage and maintain ventilators and other devices designed to help patients who cannot breathe on their own. Analyze tissue, blood and breath to help evaluate and diagnose patients. Most respiratory therapists work in hospitals, which can mean long hours or overnight shifts. Those who don’t work in hospitals are typically employed by nursing care facilities or private clinics. The job outlook and salary potential for respiratory therapists is very good. The Bureau of Labor Statistics expects plenty of opportunity for with the profession slated to grow by 28 percent over the next decade. The increase is primarily attributed to an a growing population of senior citizens, higher instance of breathing disorders and a high number of respiratory therapists leaving the job market. Those factors are creating a lot of opportunities in the healthcare profession, making the are appealing for plenty of people looking for a meaningful career that could withstand another recession. Most Hospitals and nursing facilities in the United States look for a two year degree and the CRT (Certified Respirator Therapist) designation for entry-level positions. Further education and advanced training is often the best way to move up to a higher position and increase earning potential. Many professionals with a two-year degree work toward a bachelor’s degree. RTs with advanced degrees usually become supervisors or specialists in treating critically ill patients. During the typical day, respiratory therapists treat patients of all ages and backgrounds, including infants and the elderly. Duties involve consulting with physicians and other staff members to help develop and maintain patient care plans. Often, CRTs are responsible for providing sensitive and complex therapy for patients in intensive care, or those on life support. The career requires a huge amount of responsibility and anyone interested in the profession should be able to handle stressful situations, even when someone’s life is on the line. If you can handle the potential for stress as well as the long and late hours, you can expect to be compensated very well and enjoy plenty of advancement opportunities. According to the Bureau of Labor Statistics, the median wage for a CRT is more than $54,000 per year. The top 10 percent earned over $73,000 per year. There’s plenty of opportunity once you learn how to become a respiratory therapist. With job opportunities on the rise, it’s a great time to start working toward certification as a respiratory therapist. Getting the right education will open a lot of doors into the fulfilling realm of healthcare. If you enjoy a fast-paced atmosphere and helping patients respiratory therapy is probably a good career for you. Contact an accredited educational institution to find out how to get started on the path toward a new career. Preparing for a new career an be an exciting time, if you have all your bases covered. Knowing what to expect when you decide to learn how to become a respiratory therapist is a key component in your quest for a better career and more fulfilling life. This is a great career to consider if you want your salary to reflect the amount of responsibility and work that goes into your job.